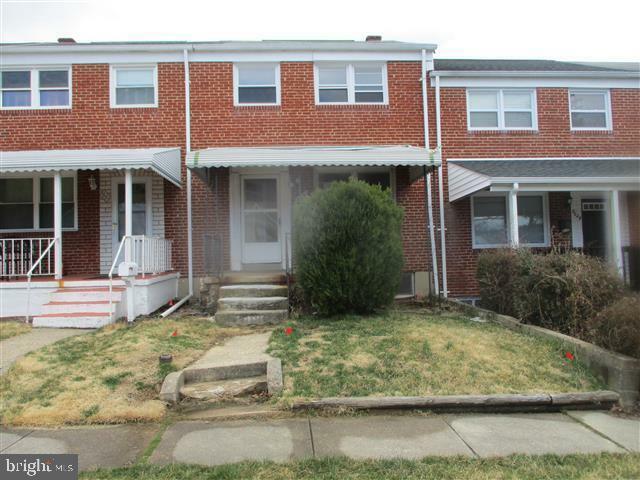 Nice size town home features covered front porch, rear deck and patio. Backs to alley with parking pad in rear. Open floor plan on main level with hardwood floors. Kitchen leads to rear deck. Upper level offers 3 bedrooms and full bath. Full size basement has flush, walk out stairs to rear patio lots of space. Close to schools and shopping. Easy access to 695 , 95 and downtown. Agents view agent remarks for more details.